Before we officially close out 2016, we wanted to take a stroll down memory lane with the ultimate #TBT. Just like we did in 2015, we are taking time to look back on the year by highlighting our favorite moving posts from 2016. We’re so grateful to be DIY contributors here at HireAHelper and we feel honored for the opportunity to share DIY projects and simple tricks to turn your new house into your home sweet home. So without further ado, here are our favorite posts from 2016, each designed to make your next move an AWESOME one! We’re still all about that snail mail (as evidenced by this post and this one.) We think it’s the pitch-perfect thing to do for all your favorite people. And guess what? It’s doubly impactful if you’ve moved recently because what better way to get your new address into the hands of everyone you know? Last year we shared some of our favorite holiday cards. This year the list is back with the latest and greatest options available online, and boy are there some adorable ones! Almost makes us wish we moved this year… let’s check them out! You know that feeling you get after a busy week when your house is a complete wreck and your home’s to-do list seems like it’s a mile long and growing by the minute? Trust us, you’re not alone. All homeowners have these moments. Heck, sometimes that vision of the “perfect” home seems like it will never come true – not clean enough, not updated enough, not trendy enough … we hear you, we’ve all been inside that dreaded comparison trap. To be perfectly honest, I’d go as far as to say that the feeling of “my house is not good enough” is more common than the feeling of “I absolutely love my house and feel so grateful to call it home”. So let’s talk about that. But the real question is, have you ever been in a garage that has an epoxy finish where the garage looks way less like a garage and much more like a fancy showroom? If you’re anything like us, we’re constantly brainstorming ways that we can spruce up the outside of our homes. Whether you’re looking to sell, just moving in or are trying to make the most of your home’s exterior, adding curb appeal is a priority for almost all homeowners. And come to find out, chasing these outdoor DIY projects may be more valuable than we even realized. Is Oregon Still a Trendy Moving Destination? In our industry, it’s no secret that Oregon has become a top destination for interstate moves. Whether you look at United’s inbound/outbound percentages or Atlas’s inbound move totals, Oregon has in the last few years shown itself to be economically strong. Not surprisingly, Portland is leading the charge. But there are more than two ways to skin a cat. (This industry really is an animal!) And this month we are going to look at the situation in Portland from a few new angles, to see if Oregon really is the horse to bet on as Destination King. 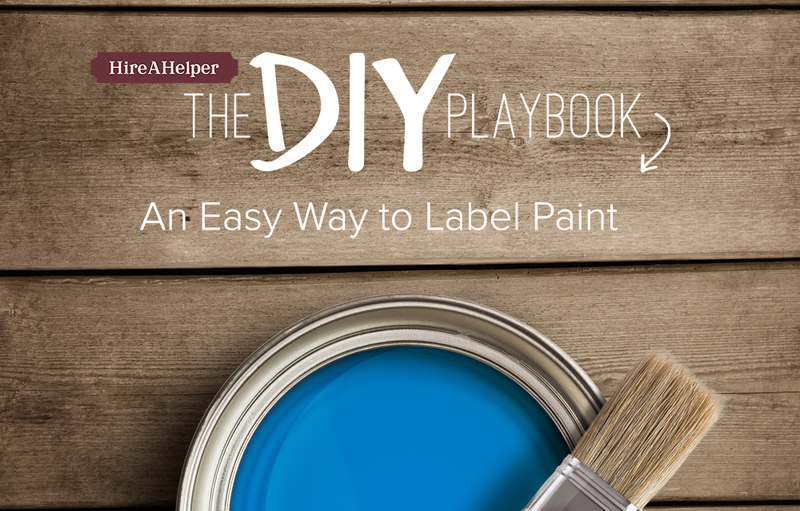 We’ve chatted about paint colors A LOT here on the HireAHelper blog. That’s because painting the walls is a task that most homeowners tackle when they get into their new space, so we believe the topic deserves a little TLC. Can I Take (INSERT ITEM HERE) With Me When I Move?